Teen Actor’s Lab is for passionate young actors of all levels. Are you just starting out and wanting to build up confidence? Or maybe you have some experience, but you’re ready to take it to the next level? Welcome to the l.a.b. It stands for life. art. biz. so everything you learn with us will fall into one of these categories. life. We’ll look at all kinds of stuff from managing your time well to make room for what you love, to gaining confidence in yourself and your work. art. This is the area where we get to dig into all the juicy acting stuff. And there’s so many goodies to learn! The l.a.b. is a supportive and creative place to learn the technique and skills needed to work on great roles. biz. Believe it or not, actors are the CEOs of their own business so it’s super important to get some empowering marketing tools to set yourself up to succeed. You’ll be surprised just how much fun it can actually be! 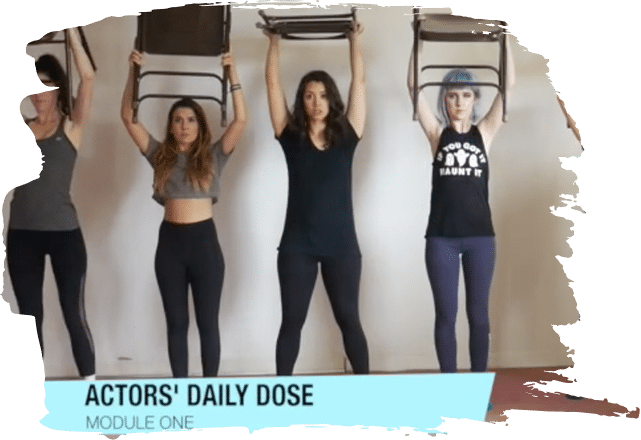 Audition Coaching – Get help preparing for your auditions! Go into the room with the confidence, technique and choices that will land jobs. Acting Classes – Whether you are just starting out or you’re a pro with credits and reps, take it to the next level in class. Audition Taping – Need to put yourself on tape for a role? Get a high quality video submission with professional lighting and sound. On-Set Prep – Did you book it? We’ll help make sure you go to set prepared! Private Acting Session/Packages – Get specialized, one-on-one attention in scene, monologue and audition work. Career Consultation – Specially tailored advice on agents and managers, casting directors, headshots, auditions, training & more. Career Coaching – Realize your dreams with strategic goal setting and a creative marketing plan. Nervous about getting into drama school? You have 3 minutes to prove yourself. A panel of judges you’ve never met are standing between you and your dreams. This is your shot. There’s a lot riding on this.